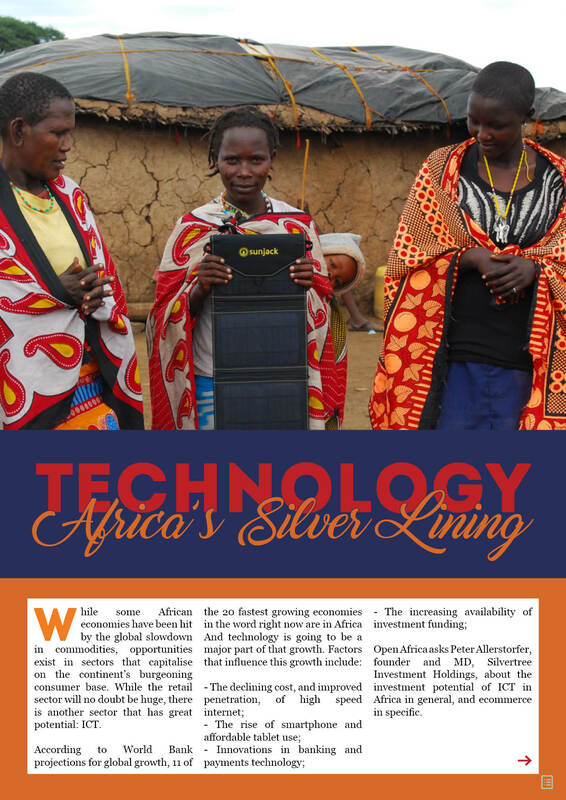 This piece first appeared in Open Africa, a custom digital publication by Ornico that features interviews, insights and business lessons from some of Africa’s leading CEOs, innovators and decision makers. While some African economies have been hit by the global slowdown in commodities, opportunities exist in sectors that capitalise on the continent’s burgeoning consumer base. While the retail sector will no doubt be huge, there is another sector that has great potential: ICT. #OpenAfricaMag: Why are you investing in Africa? First, the continent has very strong growth potential, especially in the tech space. Secondly, some of Africa’s countries have very strong mobile penetration that will create leapfrogging opportunities in a lot of industries. Finally, more and more African consumers use the internet for buying physical goods and not just for communication and content consumption. #OpenAfricaMag: What sectors in Africa do you invest in and why? We focus on the tech or tech-enabled space. Within that, we currently focus on ecommerce, financial services and lead generation, as well as classified disrupters. However, we are excited about any business where African entrepreneurs are solving African problems. #OpenAfricaMag: What are your golden rules for investing? We only consider businesses that have a working product with real consumers using it and ones that are already generating revenue. Businesses that focus on execution and can show strong customer retention really excite us, as it is a good early stage indicator for long-term success. In addition to that, we pay a lot of attention to the leaders behind each business as we believe this is vital for the success of a business. What we don’t like are businesses that artificially blow up their top line by ways of excessive and unprofitable marketing activities that result in big bottom-line losses and huge funding requirements. #OpenAfricaMag: You say you invest in good teams. Why are people so important to an investment and how do you get to know whether people are good, and good at what they do? Ultimately, the leaders behind a business play a big role in the making or breaking of it (this even more applies to early stage businesses). To a certain extent, the performance of the business is a reflection of the people behind the business. To give you a specific example: Strong/Big Customer Lifetime Value (CLV) is a reflection of customer loyalty that usually requires a lot of hard work and going the extra mile to WOW customers. In addition to that, we spend a significant amount of time with the management of a business before we make an investment decision, which gives us a lot of insights as well. #OpenAfricaMag: What do you look at from a country-risk perspective, when deciding which regions to invest in? Due to our nature of doing tech investments, we focus mostly on technologically stable markets. Up until recently we have predominately focused on South Africa (with the exception of our financial services and lead-generation vertical); however, we are now in the process of finalising our first investment in a business that operates in Nigeria, Kenya and Ghana. #OpenAfricaMag: Is ecommerce a growth sector for Africa? Why? It definitely is and a big portion of Silvertree’s growth last year (overall, more than 330% growth in revenue) was driven by our ecommerce vertical. Ecommerce has the potential to give consumers instant access to a wide range of products that were very difficult to buy or even find in the past. On top of that, internet penetration — and even more so, smartphone penetration — has exploded over the last few years and these consumers use these tools more and more to purchase physical products online. #OpenAfricaMag: Why is ecommerce doing so well in Nigeria? Ecommerce in Nigeria is leapfrogging classical offline retail, as a lot of infrastructure — such as reliable road networks, shopping malls, etc. — are poorly developed, but at the same time, the rising middle class is hungry for consumer products. #OpenAfricaMag: Have you discerned any trends as relates to ecommerce in Africa? Ecommerce is still in its infancy; however, it has experienced strong growth over the last 2–3 years. In addition to that, it faces different challenges than an ecommerce business in the US or Europe. One example is around speedy and reliable delivery of physical goods, which is crucial to establish trust to the consumer — and with that foster organic growth via, for example, word of mouth. #OpenAfricaMag: What advice do you have for entrepreneurs in Africa who are looking for investment? First, get your products to the market as quickly as possible instead of trying to launch a perfect product. Secondly, focus on execution and follow a trial-and-error principle. This will help very quickly to build an exceptional value offering. Finally, use your network to share your ideas instead of trying to come up with an “amazing” business model all on your own. Founders are often worried that someone else steals their idea but the more people are able to challenge you in your thinking, the better the end result will be — and at the end a lot comes down to execution! 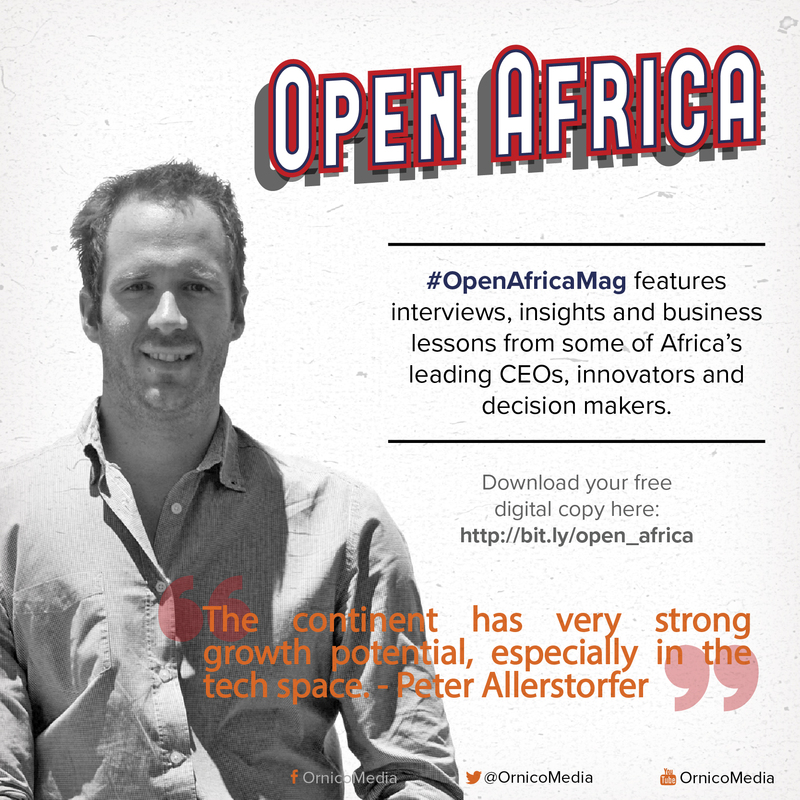 #OpenAfricaMag: What advice do you have for organisations/people wanting to invest in Africa? It takes time to understand the market, and it is vital to be on the ground or work with someone on the ground who is part of the community. #OpenAfricaMag: How important is the internet to Africa’s growth? It is a vital building block in unleashing and capitalising on the fast-growing African middle class. Already today some African businesses have built worldwide leading tech solutions that would have been impossible to achieve without the rise of affordable internet access. Some examples: M-Pesa’s growth in Kenya, FNB being named “world’s most innovative bank” a few years ago, and Discovery is one of the leaders in fully integrated insurance products. Peter Allerstorfer is the founder and managing director at Silvertree Investment Internet Holdings and founding partner at Silvertree Capital. Allerstorfer is also a founder and shareholder at Jumia (“Nigeria’s No.1 Online Retailer”). Allerstorfer founded Zando.co.za and served as the MD and co-CEO. Prior to that, he was a management consultant at McKinsey. Allerstorfer started his career as an intern at BMW, working in the quality and strategy departments. For more insights on growing businesses, organisations and brands in Africa, download your free digital copy of Open Africa here or go to http://bit.ly/open_africa.